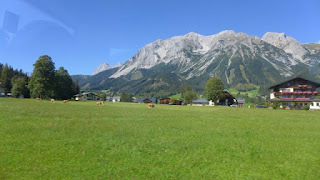 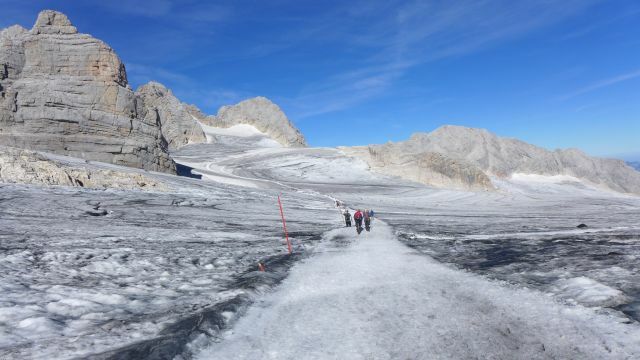 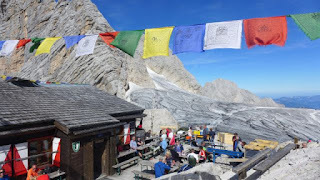 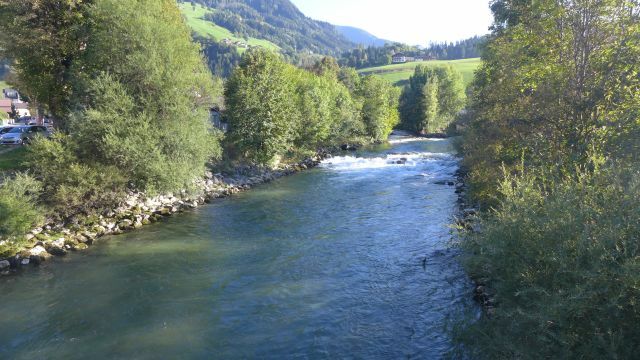 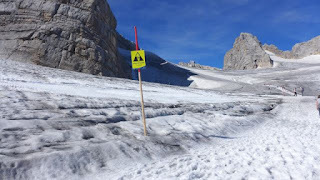 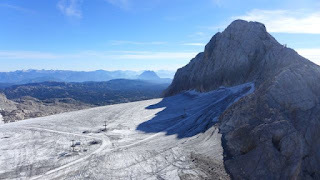 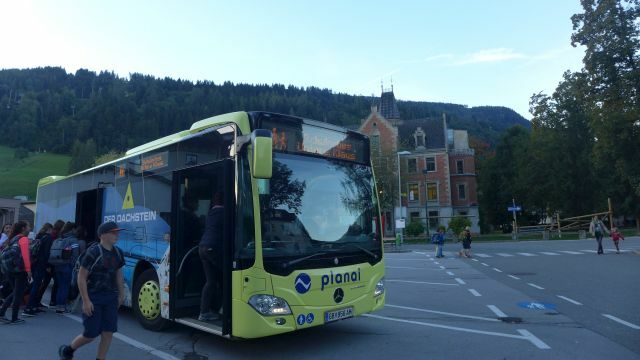 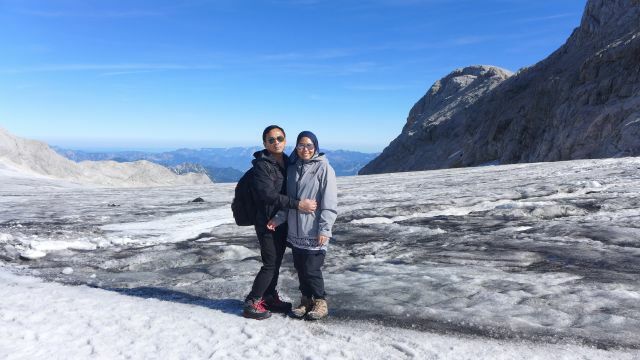 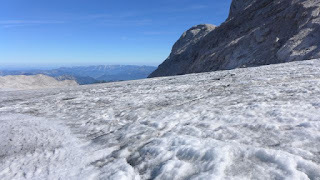 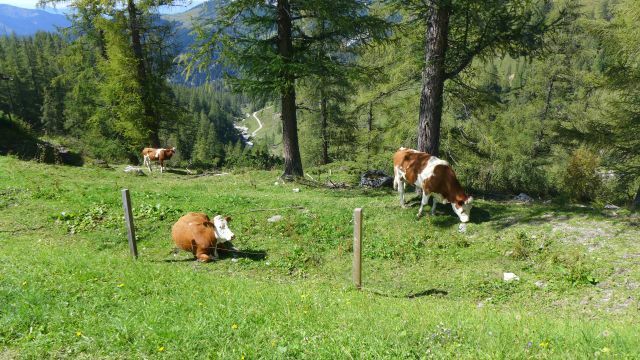 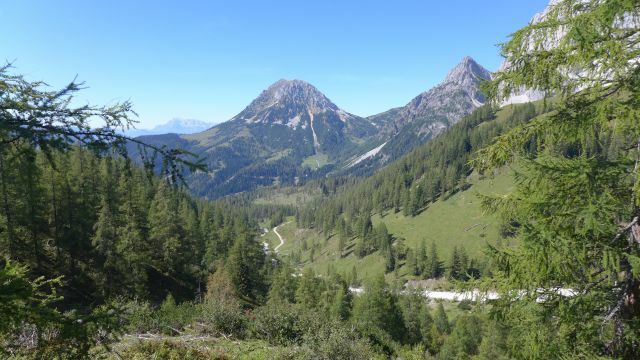 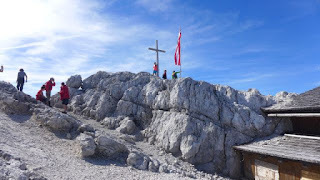 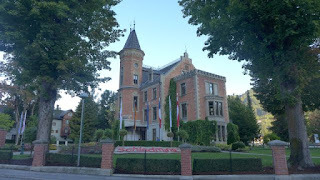 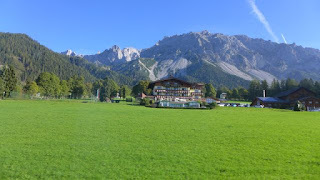 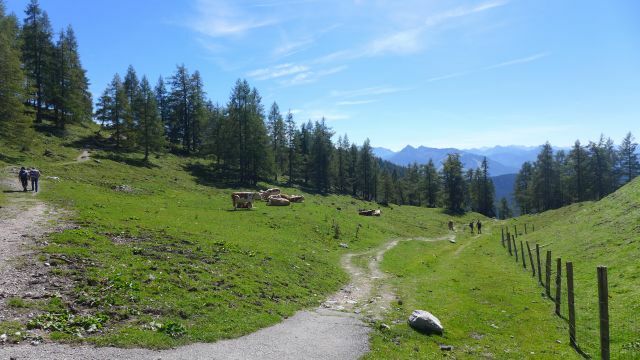 We started off from our guesthouse at 7am, took the bus to Planet Planai (free with sommercard), then took the Ramsau Dachstein bus at 8.10am (free with sommercard) to the Dachstein glacier lift. 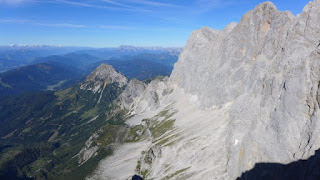 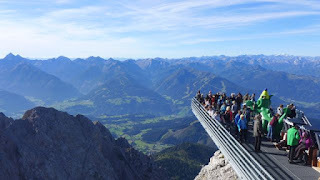 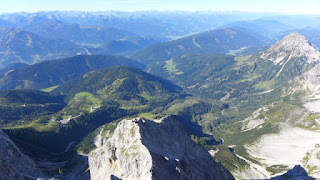 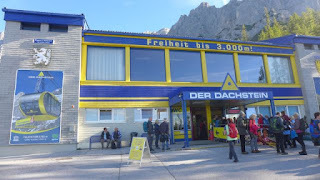 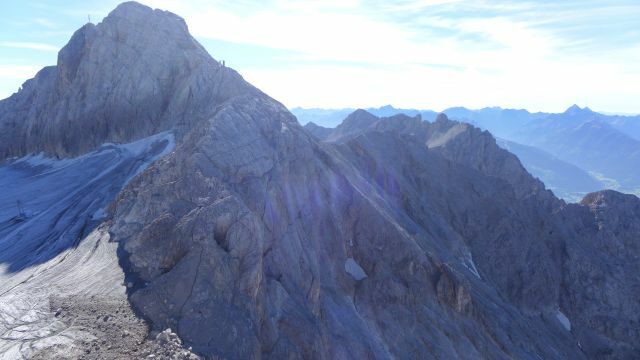 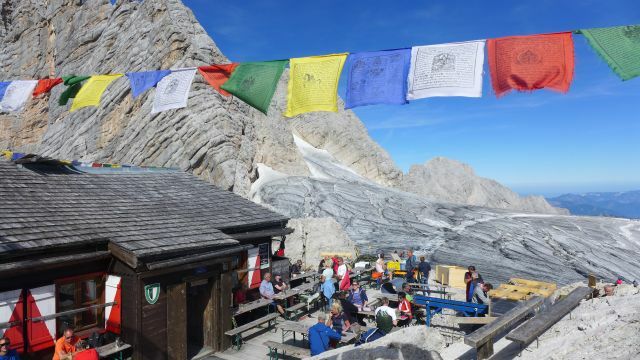 We reached at the bottom Dachstein gondola station at 9am and it was full of hikers. 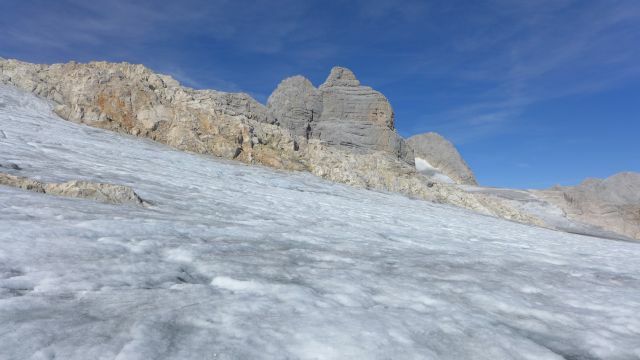 Although it was summer, there was still glacier on the mountain but the ice was not thick so we were able to hike without crampons or hiking poles. It wasn't too slippery.